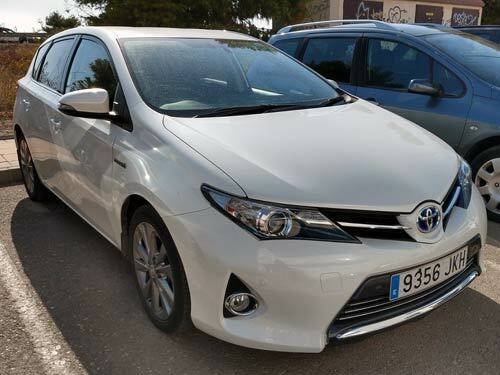 Used Toyota Auris Hybrid car costa blanca spain - Second hand cars available Costa Blanca and beyond! This petrol hybrid Auris returns superb miles for gallon and is in great condition. A rare and economical find.